if you are the mother of a little girl you know what I am talking about when I say, where do you put all of these little girl cutie hair thingers? Well check this out! 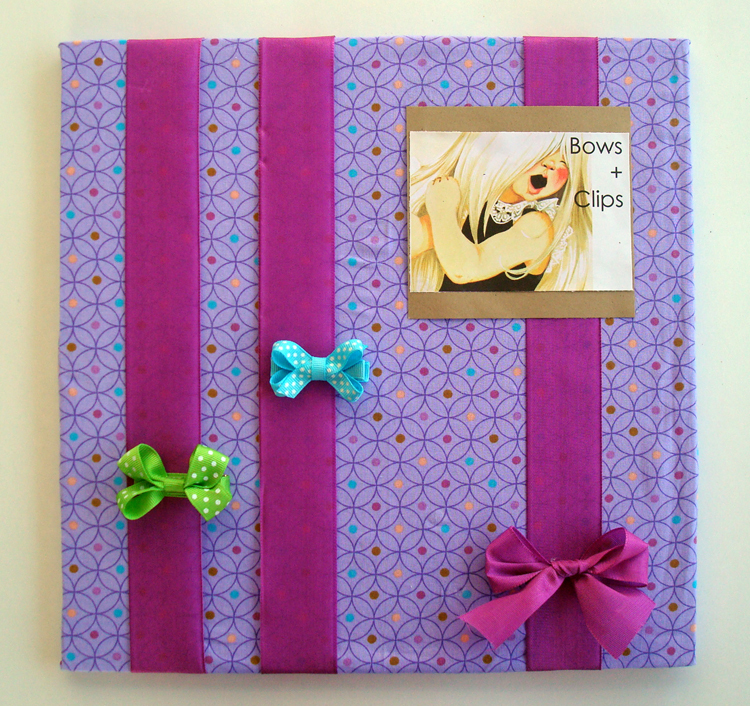 I came up with this as a twist on a fabulous gift my sister made for me… a bow ribbon organizer. Her’s has a long ribbon hanging loose while my twist is to secure these ribbon holders for bows as one wall art piece (I know, confusing!) so that they are out of reach to little itty bitty hands. For more See Here. my, I LOVE the yellow painting!